Key Search Words - 2000 : FEL-PRO, 61789, Turbo Mounting Gasket. The engine types may include 6.0L 363Cu. This part fits vehicles made in the following years 2003, 2004, 2005, 2006, 2007, 2008, 2009, 2010, 2011, 2012, 2013. The engine types may include 5.9L 359Cu. This part fits vehicles made in the following years 2003, 2004, 2005, 2006, 2007, 2008, 2009. Application Summary - 2000 : 2010-2003 DT L6 359 (5.9L OHV) Tubo Diesel VIN C, 6, 7 (Turbo Mounting Set). 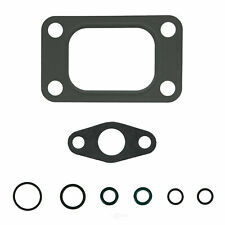 Key Search Words - 2000 : FEL-PRO, 61765, Turbo Mounting Gasket. The engine types may include 6.7L 408Cu. This part fits vehicles made in the following years 2007, 2008, 2009, 2010, 2011, 2012, 2013, 2014, 2015. Part #: 61789. Federal-Mogul engineers are continually pushing ahead with new sealing science, developing problem-solving products like PermaDryPlus rigid carrier gaskets. Part #: 61765. Federal-Mogul engineers are continually pushing ahead with new sealing science- developing problem-solving products like PermaDryPlus rigid carrier gaskets. Part #: 61787. Federal-Mogul engineers are continually pushing ahead with new sealing science, developing problem-solving products like PermaDryPlus rigid carrier gaskets. Part #: 61717. Federal-Mogul engineers are continually pushing ahead with new sealing science- developing problem-solving products like PermaDryPlus rigid carrier gaskets. Part #: ES73033. Federal-Mogul engineers are continually pushing ahead with new sealing science- developing problem-solving products like PermaDryPlus rigid carrier gaskets. Part Number: 61717. 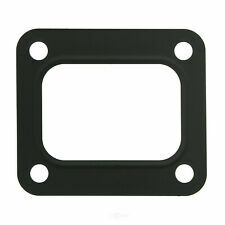 Key Search Words - 2000 : FEL-PRO 61717 Turbo Mounting Gasket. MFG Model # (Series) : 61717. 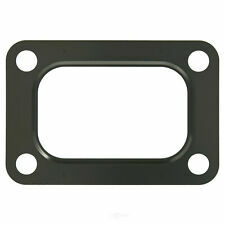 Gasket / Seal Material : Steel. Remanufactured Part : N. Google class path : Vehicles & Parts>Vehicle Parts & Accessories>Motor Vehicle Parts>Air Intake Parts. Part #: 61787. Federal-Mogul engineers are continually pushing ahead with new sealing science, developing problem-solving products like PermaDryPlus rigid carrier gaskets. We're working to build a state-of-the-art, online auto repair resource complete with the parts, people and information you need to stay in motion. Part Number: 61787. Federal-Mogul engineers are continually pushing ahead with new sealing science, developing problem-solving products like PermaDryPlus rigid carrier gaskets. Part #: ES73033. Federal-Mogul engineers are continually pushing ahead with new sealing science- developing problem-solving products like PermaDryPlus rigid carrier gaskets. We're working to build a state-of-the-art, online auto repair resource complete with the parts, people and information you need to stay in motion. Part #: 61789. Federal-Mogul engineers are continually pushing ahead with new sealing science, developing problem-solving products like PermaDryPlus rigid carrier gaskets. Se halba espanol. Part Number: ES 73033. Warranty Duration:1 Year. Part #: 61787. Federal-Mogul engineers are continually pushing ahead with new sealing science, developing problem-solving products like PermaDryPlus rigid carrier gaskets. Se halba espanol. Part #: 61717. Federal-Mogul engineers are continually pushing ahead with new sealing science- developing problem-solving products like PermaDryPlus rigid carrier gaskets. We're working to build a state-of-the-art, online auto repair resource complete with the parts, people and information you need to stay in motion. Part #: 61765. Federal-Mogul engineers are continually pushing ahead with new sealing science- developing problem-solving products like PermaDryPlus rigid carrier gaskets. Se halba espanol. Part #: 61717. Federal-Mogul engineers are continually pushing ahead with new sealing science- developing problem-solving products like PermaDryPlus rigid carrier gaskets. You need to MOUSE OVER the left column to read the complete text. Part Number: 61717. Warranty Duration:Other. We at Phileocom understand that parts for automotive repair are a necessity item. When cars breakdown, car owners are left with little alternative than to fix them up again. Part Number: 61717. Federal-Mogul engineers are continually pushing ahead with new sealing science- developing problem-solving products like PermaDryPlus rigid carrier gaskets. Part Number: 61717. Federal-Mogul engineers are continually pushing ahead with new sealing science- developing problem-solving products like PermaDryPlus rigid carrier gaskets. Windy City Auto Parts carries over 1 million wholesale priced automotive parts. Fel-Pro ES 73033 TromsFel-Pro ES 73033 Troms. Public Forums. Need to make a change?. Disclosure of Information Policy. Your credit card information is encrypted while traveling the Internet. For their protection, we ask that children do not submit information to us without the consent of a parent or guardian.